Entice, the fine jewellery brand by the century old KGK group, introduces Taraash-a Kundan Polki jewellery collection. Sculpted out of the most eternal materials on this planet- gold, diamonds & coloured gemstones, Entice’s new collection ‘Taraash’ revives the flavor of true Indian craftsmanship. Taraash comprises of a magnificent selection of kundan polki jewels created by the experienced hands of the craftsmen at Entice manufacturing units. 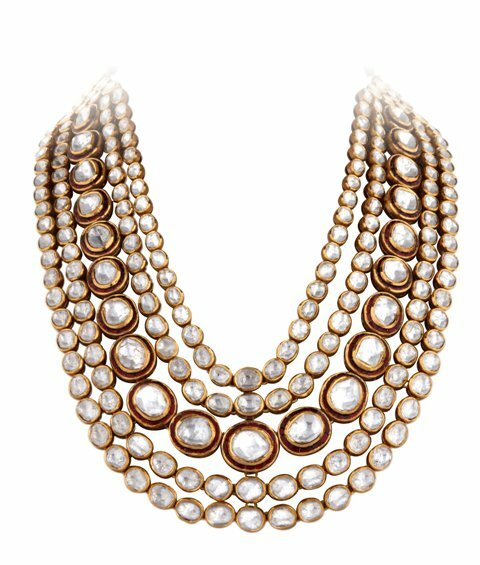 To celebrate the introduction of Kundan Polki jewellery, Entice is hosting an in store exhibition in its Delhi boutique from 15th July to 14th August 2013.